Mont Blanc seen from the the summit of the Noire. Gugliermina in the front. 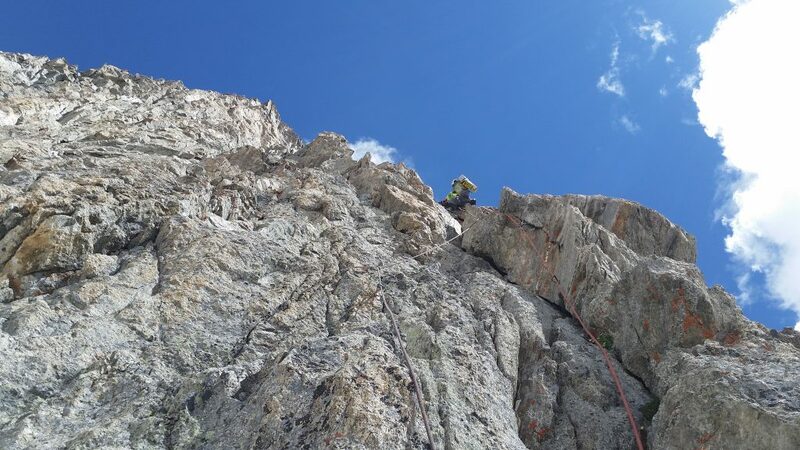 Big plan for the summer months in the Alps was to attempt the Super Integrale de Peuterey. 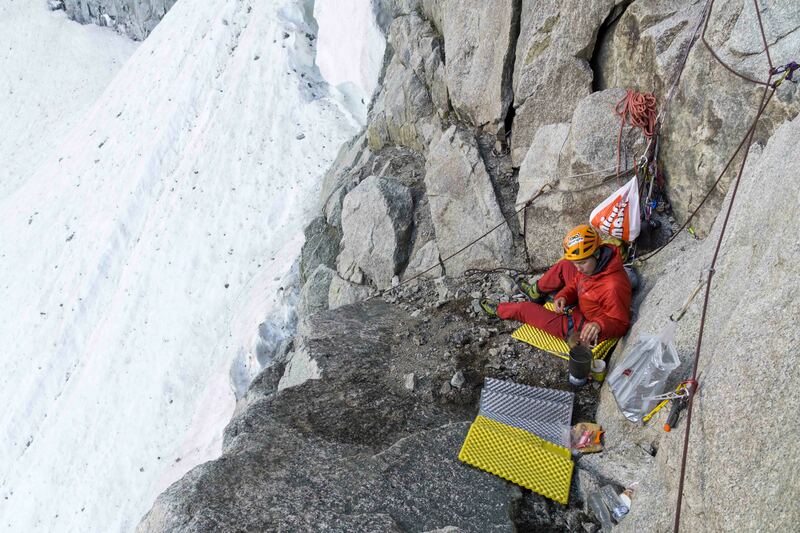 Massive link-up of three big alpine rock climbing routes on the south side of the Mont Blanc. 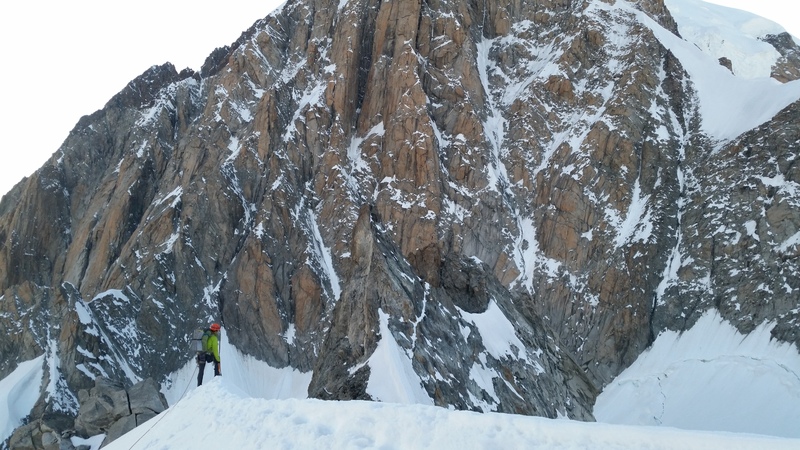 Excursion was first climbed by Casarotto in winter 1982 during 15 crueling days: Ratti-Vitali on the W face Aiguille Noire de Peuterey, SW face of Pointe Gugliermina via Boccalatte-Gervasutti and legendary Freney central pillar on the Blanc`s S face. It has not been repeated too many times in summer, or at least we couldn`t find information about it. Though, I think there´s several black horses in the area whom have done it, but don´t want to tell about it. Again, Tim Oliver was faster to write, so you can find his detailed blog here! I try to keep it very short. 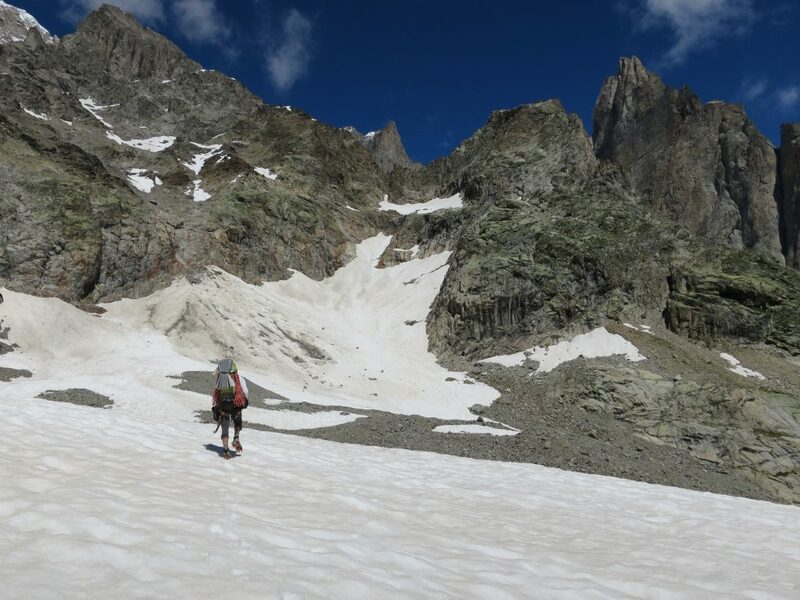 Day one: Bus from Chamonix to the Val Veny and approach to the Aiguille Noire de Peuterey via Col de la Innominata. We bivied 20 meters above the glacier on a legde on the W face. 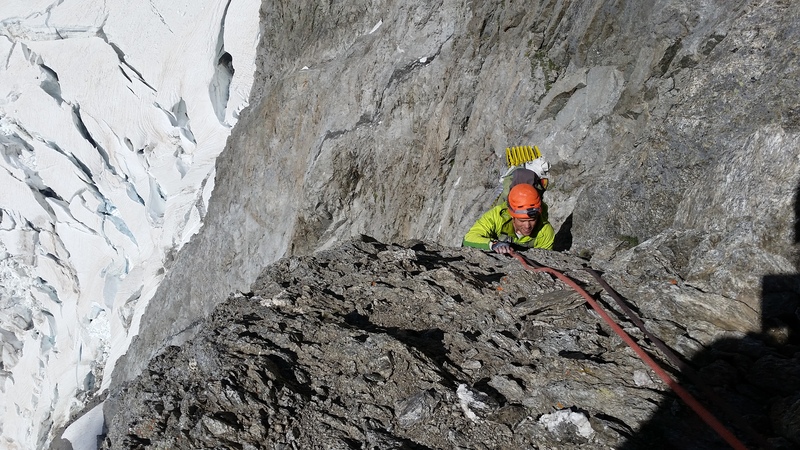 Day two: Ratti-Vitali (650m, 6a, A0) up (7,5h) and down (3h). 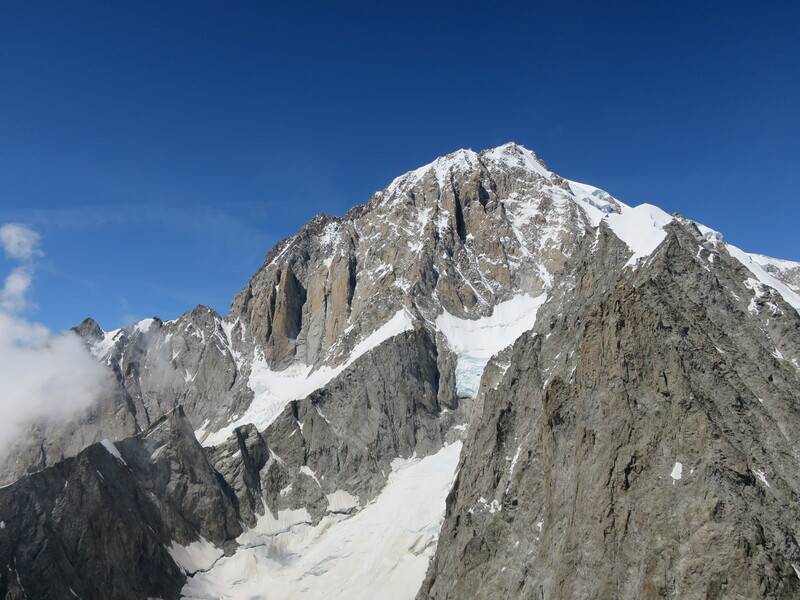 Day three: Boccalatte-Gervasutti (600m, 6b, A0) to the summit of Pointe Gugliermina. Ridge climb to the Col de Peuterey, where we arrived after dark. Day four: Descent back to the Val Veny via Ecles bivy huts. We bailed due to unstable forecast and some other factors. Without doubt our best effort during the summer anyway. Though, if I ever return, it will happen with super light weight tactics. It´s doable in two super long days. Tim heads towards Col de la Innominata. 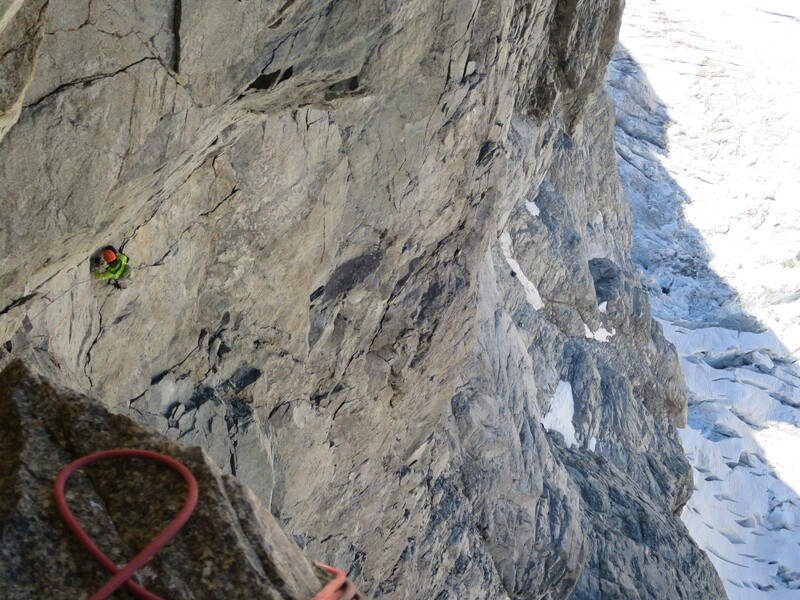 Tim seconding the 6a pitch of Ratti-Vitali. Aid corner high on the Ratti-Vitali. 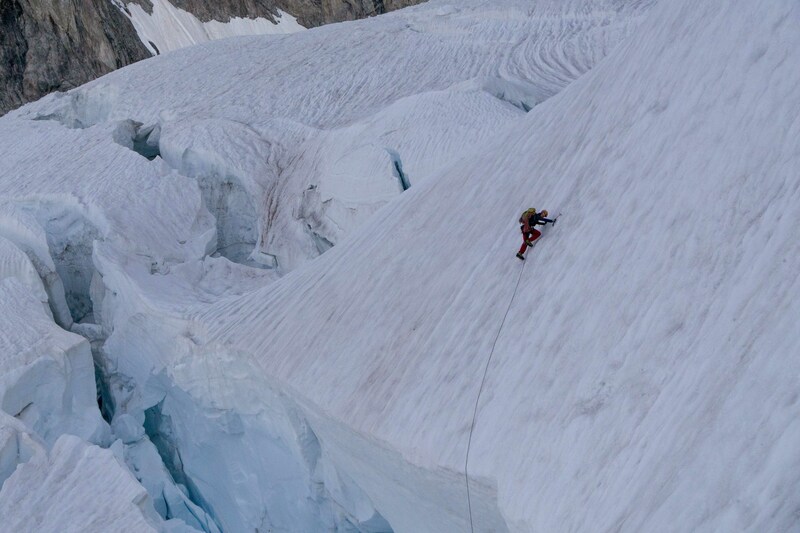 Juho on the Freney glacier. @Tim Oliver. 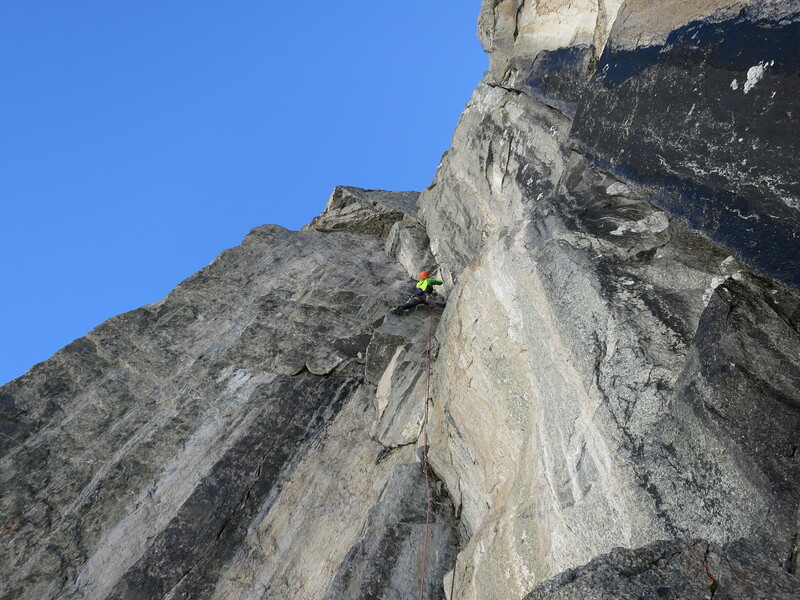 Tim seconding the crux pitch of the Gervasutti-Boccalatte. Old-school 5c with a heavy pack is hard. Tim going strong! 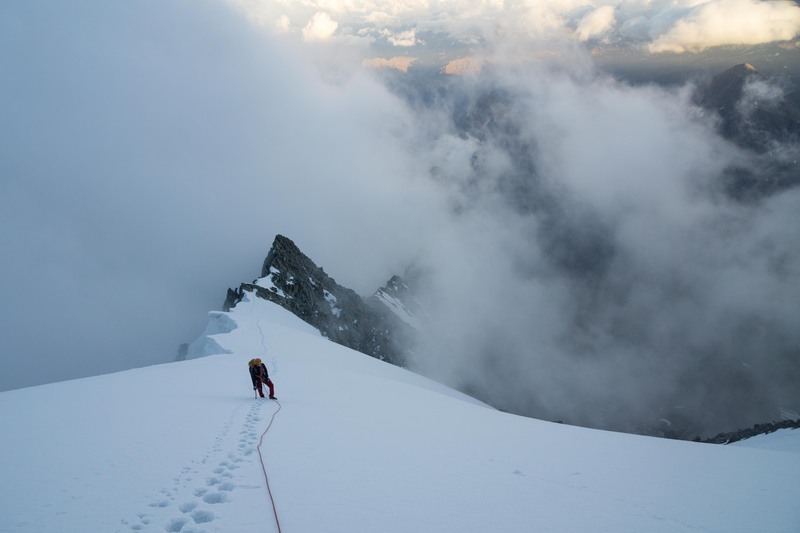 Nearing the summit of Aiguille Blanche de Peuterey. @Tim Oliver. Tim front of the wild S face of the Monte Bianco!